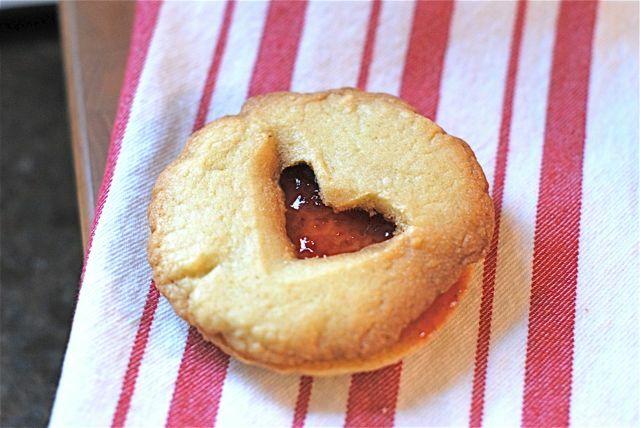 Shortbread cookies are popular in my house year round—we love to make Linzer cookies using different cookie cutters, depending on the season. This is a great cooking with kids project, as little ones love making special shapes and watching them bake up. 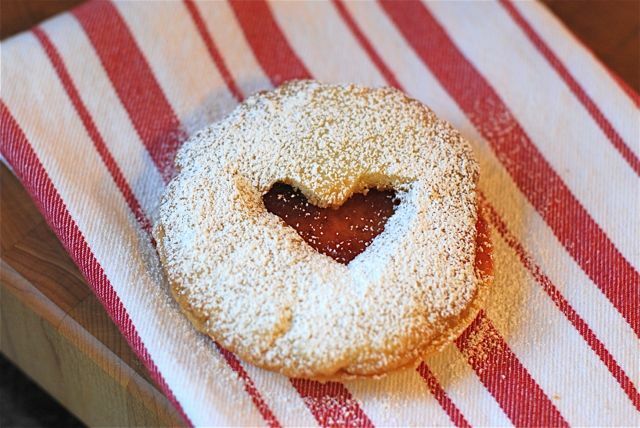 On Valentine’s Day we make this Linzer Heart-Shaped Cookie recipe. Making this sweet dessert is the perfect winter afternoon activity to get you in the us in the V-day spirit. Step 1: Sift together the flour and salt in a small bowl and set side. Step 2: In a stand mixer, cream the butter and sugar. Add the vanilla and mix well. With the mixer on low, slowly add in the flour mixture until the dough comes together. Step 3: Wrap the dough in plastic wrap and refrigerate for 2 hours. Step 4: Preheat the oven to 350 degrees F.
Step 5: Roll the dough on a floured surface until it is ¼ inch thick. Step 6: Use a 3 inch round cookie cutter to make round cookies. Set half the round cookies aside. 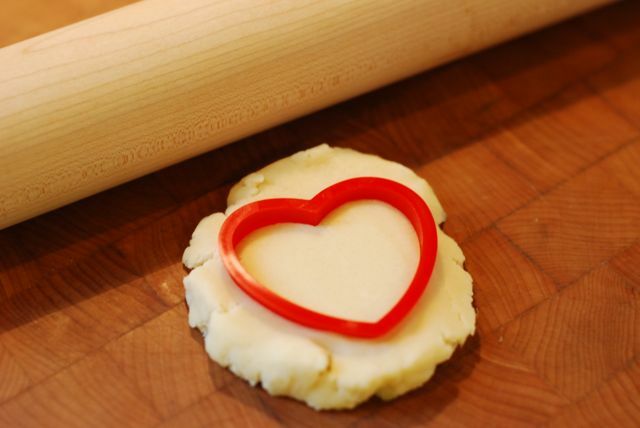 On the second half, use a small heart shaped cookie cutter to cut hearts out of the center of the center of the cookies. Collect the dough scraps and re-roll it out, cutting new cookies until all of the dough is used up. Step 7: Place cookies on a lined cookie sheet. Make sure you have equal amounts of cookies with hearts and cookies without hearts. Step 8: Bake the cookies for 20 to 25 minutes, or until they are light brown around the edges. Remove them from the oven and allow to cool on a wire rack until they reach room temperature. Step 9: Once the cookies are completely cool, spread a thin layer of jam on the solid cookies and top them with the cookies that have hearts cut out, so the jam is sandwiched between the cookies and can be seen through the cut-out hearts. Step 10: Dust each cookie with confectioners’ sugar. Enjoy!